There is no single theory of what caused the Great Depression, and never will be, Morris argues. Macreconomics is a social science, and such a massive event always takes its shape from a terrible confluence of factors. The mismanagement of the gold standard, the growth in consumer credit, the insistence on deflation by some of the best minds in finance, the spread of 'Fordism' through the manufacturing sector, the global agricultural catastrophe, and the inability of the major European belligerents of World War I to agree on a reconstruction agenda, are just a few of the shocks that in aggregate pushed the world into an economic Armageddon. 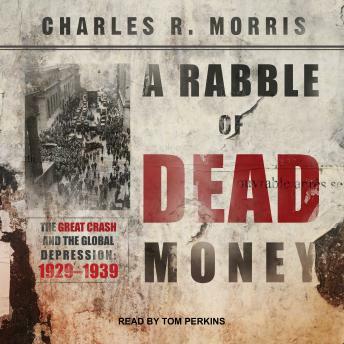 Morris does not fail to provide lessons that modern readers can learn from the Great Crash. It's tempting to pontificate about events of eighty years ago, but as Morris reminds us, our modern macroeconomics is still coming to terms with its failure to forecast how directly the much-trumpeted Great Moderation would lead to the Great Financial Crash of 2008.